Where is this? It will take place at the Clarion Inn & Event Center in Frederick, MD. We have an AMAZING discounted hotel rate for attendees and a really unique event space that we look forward to sharing with you. 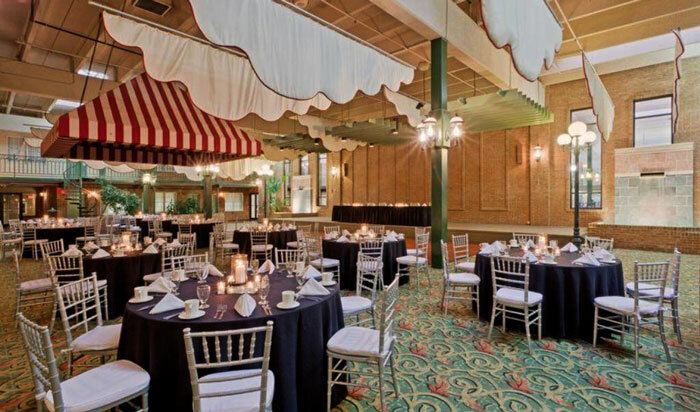 This is a full-service venue with restaurant & bar, as well as fun features such as a pool and indoor putt-putt course. There is plenty of free parking available to attendees, and if you manage to find time to leave the venue during the event, it’s next door to the FSK mall, giving you many options for food and shopping. The area also includes a built-in stage that we’ll be using for our evening musical concerts! We’ve negotiated a block rate of only $99/night if you wish to stay at the venue with us! It runs until March 9th and given that we have plans to run gaming until late into the night, we think you just might want to. You have two options for booking within the group and getting the discount. You can either call the hotel directly at (301) 694-7500 and say that you are with the ‘BFGcon’ group. Or you can use the button below to book directly online. Please reach out to us if you have any issues getting your room booked or if the website claims that the block is full. We will get it extended!